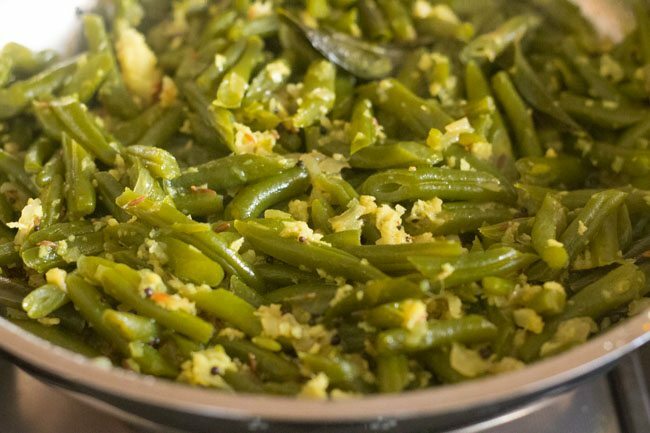 french beans foogath recipe - a mildly spiced, subtly sweet and delicious goan recipe of french beans with coconut. french beans recipe with step by step photos. 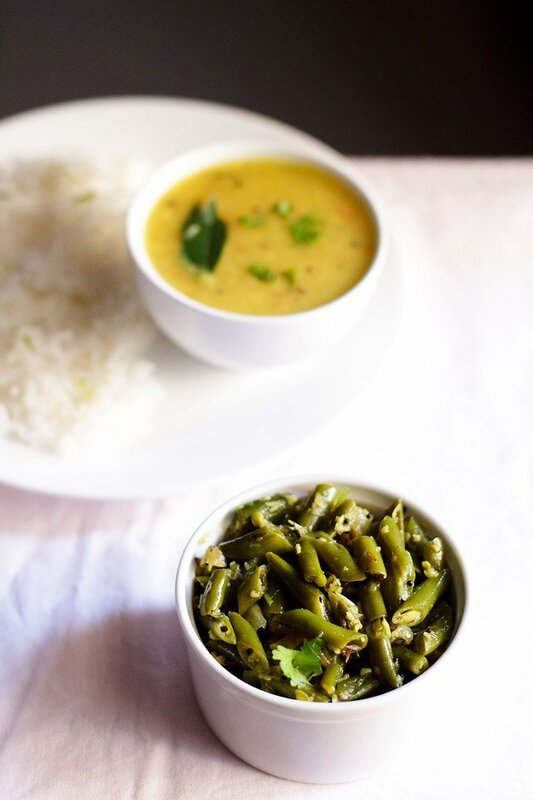 this is a mildly spiced, subtly sweet and delicious goan recipe of french beans with coconut. 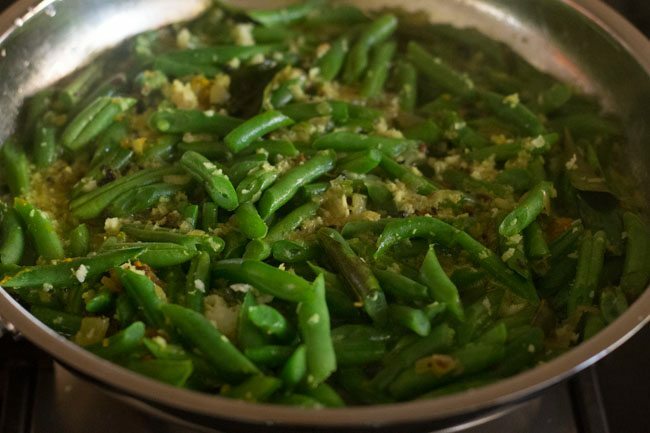 this goan french beans foogath is an easy recipe which i often make with french beans. foogath or fugad as its known in portuguese is a steamed vegetable dish made with coconut. generally at home we make foogath with french beans, cabbage, cauliflower and cluster beans (gavar). 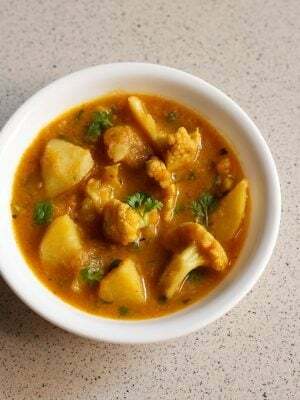 i have already posted goan cabbage foogath recipe. 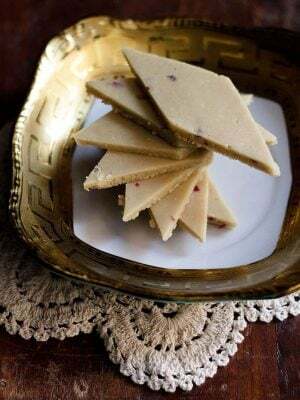 this is one of those recipes which i am relishing since my childhood days. 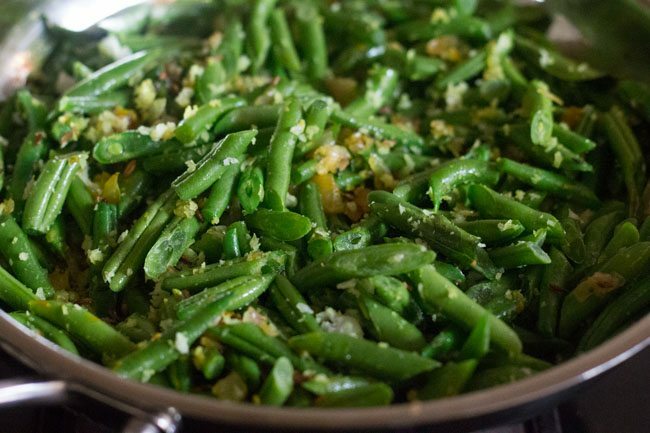 i often make this simple and delicious french beans. 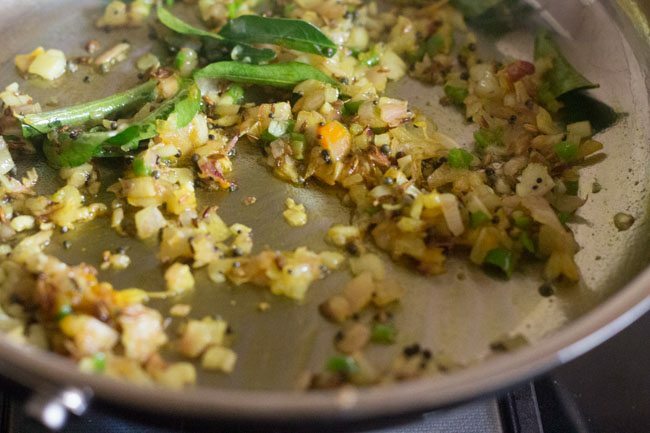 this dish is mildly spiced and has a subtle sweet taste coming from both the french beans, onions and the coconut. the steaming technique that we use for cooking foogath is using a lid with rim to cover the pan. water is added in the lid and the veggies are cooked in the pan. 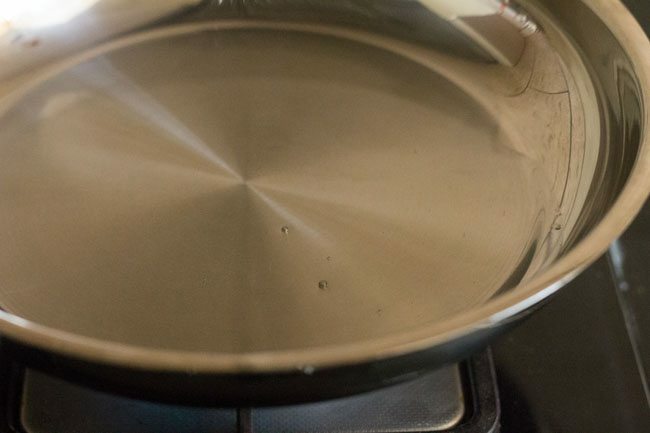 due to this technique, the water does not dry up in the pan. a pic showing the technique on the methi aloo post. as a result, the veggies are cooked tender & succulent. 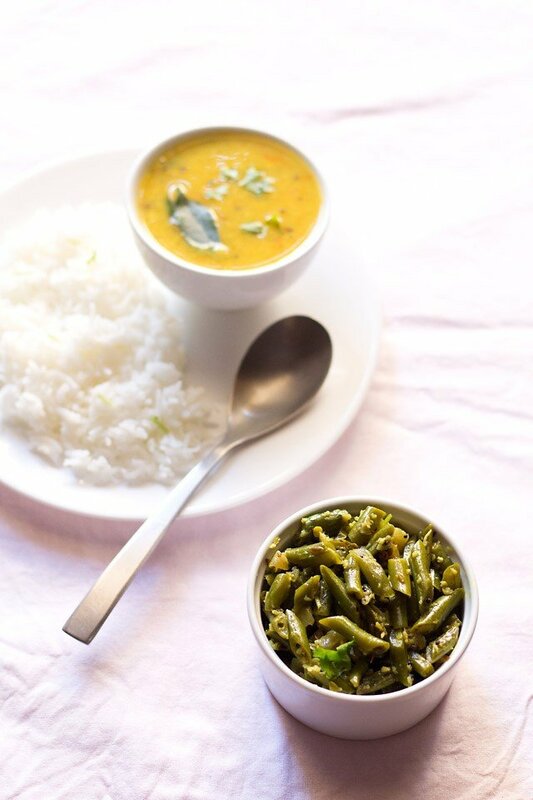 french beans foogath can be served with rice or chapatis. 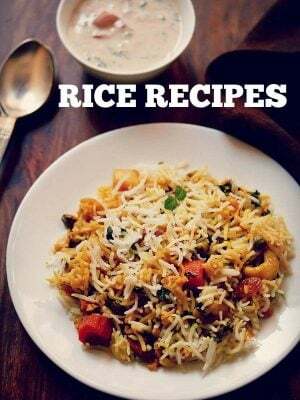 they also make an excellent side dish with dal, preferably goan dal. 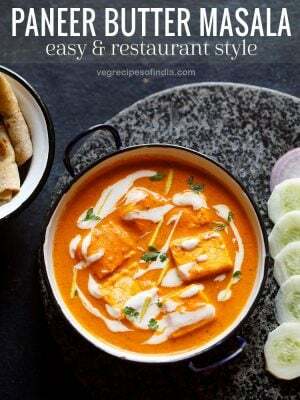 normally, i make this recipe with french beans or i make punjabi style aloo beans sabzi which i learnt from my mil and is again a very simple recipe to make. 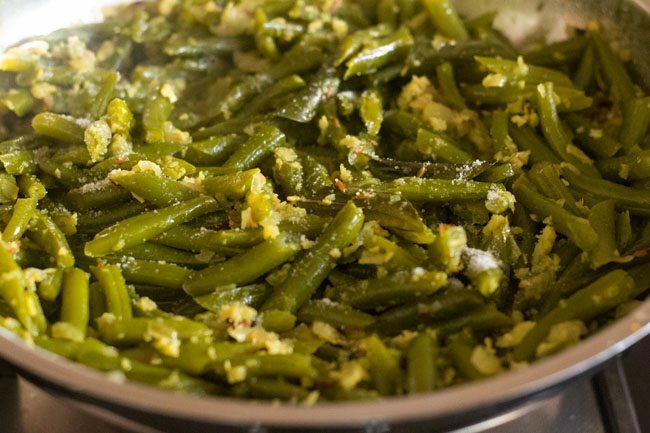 usually, not many people like french beans despite the fact that they are very healthy and one can easily make quick dishes with them. 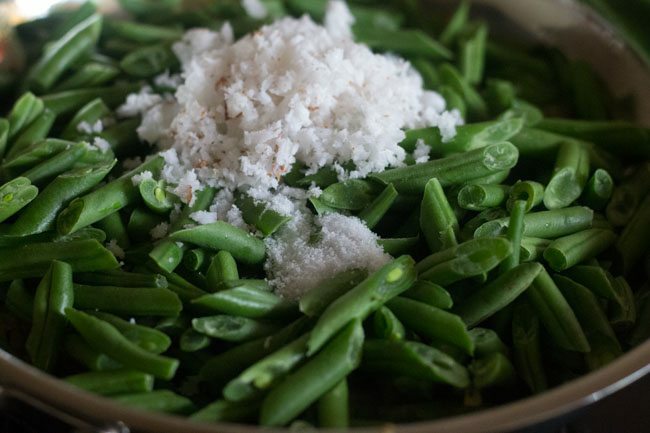 another way to use french beans in your meals is by adding them in pulaos, chinese dishes, salads as well as to make other rice dishes like this healthy french beans rice. rinse the beans in water well enough for a few times. remove the side strings from the beans and then chop them diagonally into ½ inch or 1 inch pieces. heat oil. add the mustard seeds and allow them to pop. then add the cumin and let them splutter. 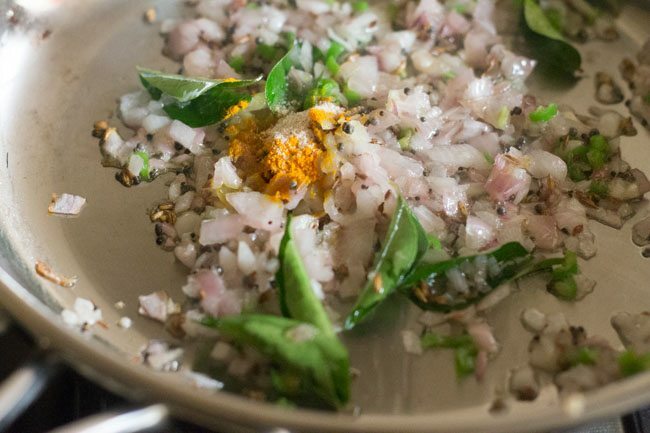 add the green chilies and curry leaves and continue to saute for a minute on a low flame. 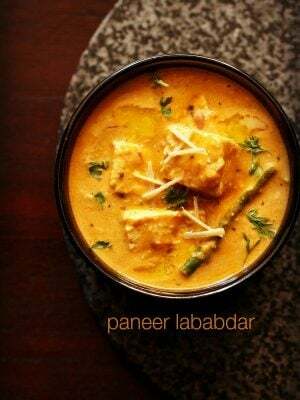 add the turmeric powder, asafoetida and saute for 10-15 seconds on a low flame. now add the chopped french beans, coconut and salt. stir well. cover the pan with a lid which has a rim. pour water over the lid. on a low flame simmer the french beans for 15 to 20 minutes till they are cooked till tender. keep on stirring and checking the french beans after every 2 to 3 minutes and if the water dries on the lid, then add some more water. you can also just cover the french beans with a lid. 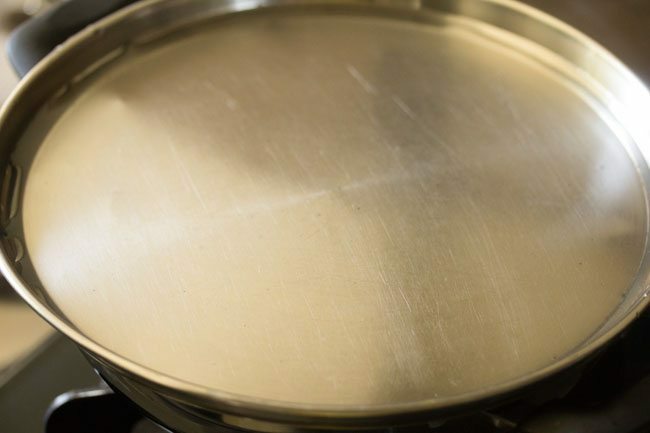 when using just the lid without the water on top of it, the water may dry in the pan. if the water dries, then sprinkle some water in the beans and continue to cook them. 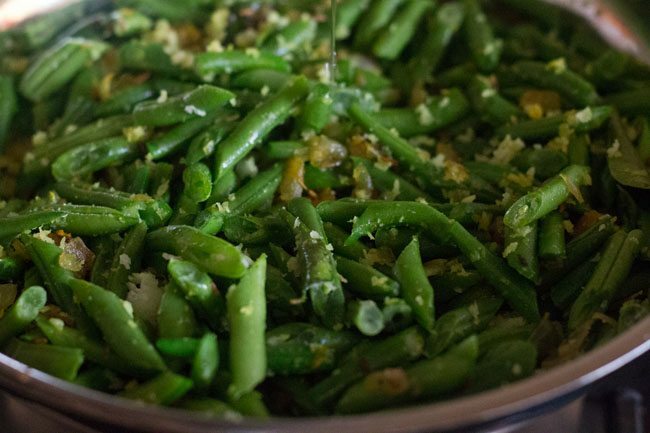 in this dish, the french beans should not get browned or crisp. so keep on checking and if the water dries up then sprinkle some more water and cover and cook the french beans. when the french beans are cooked well, if there is any water in the pan, then just cook without the lid, so that the water evaporates. 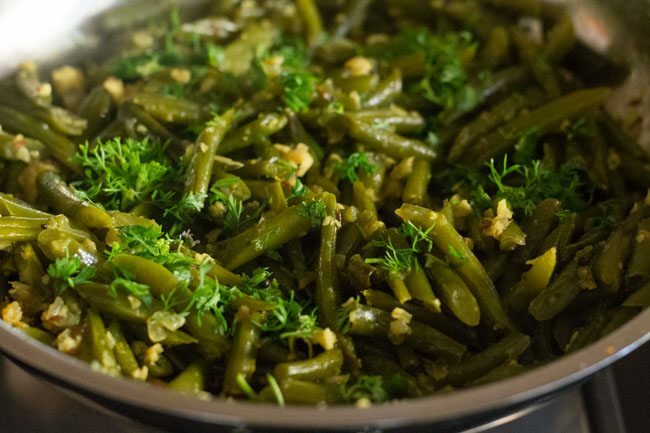 lastly garnish french beans foogath with coriander leaves or stir in the coriander leaves. 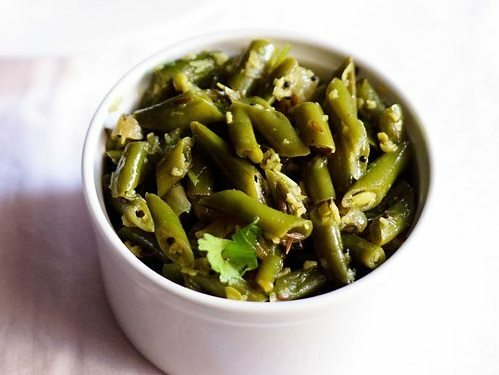 serve french beans foogath hot with chapatis or rice. 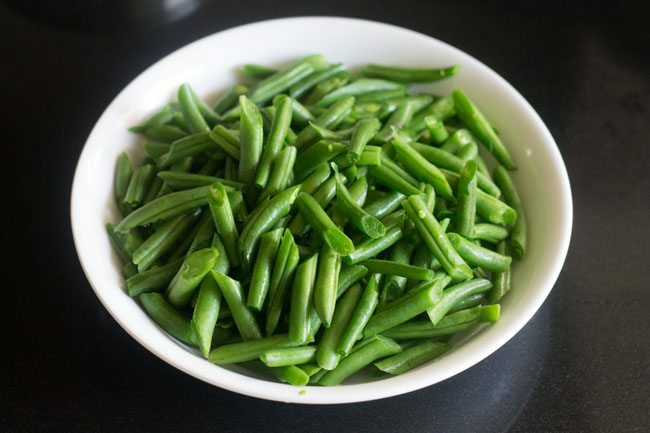 1. rinse 200 to 250 grams of french beans in water well for few times. 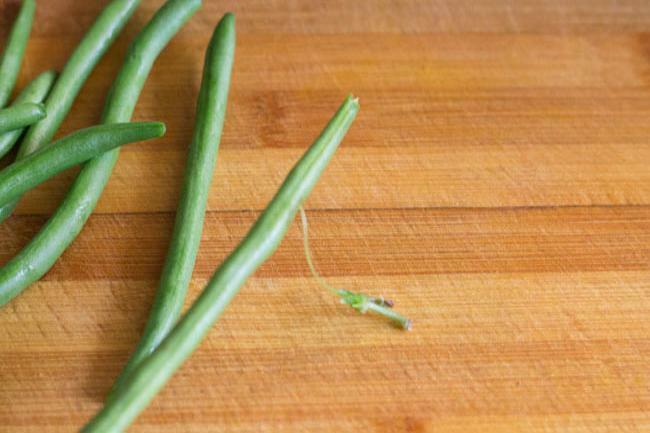 2. remove the side strings from the french beans. 3. then chop them diagonally into ½ inch or 1 inch pieces. 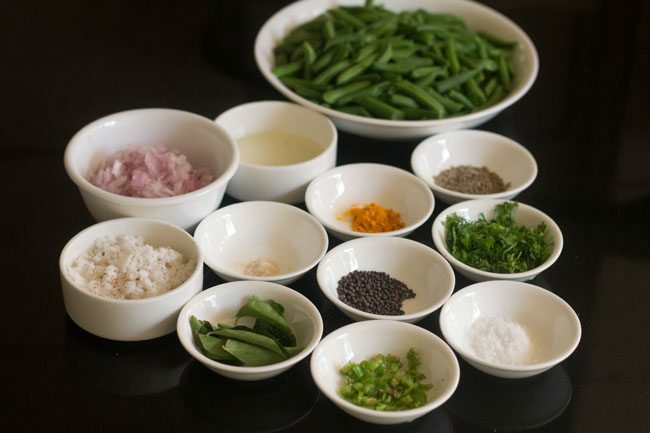 4. measure all the ingredients and keep ready for making french beans foogath. 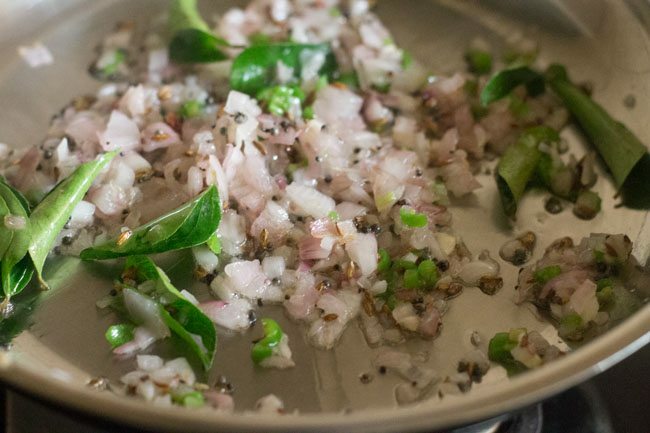 6. add ½ teaspoon mustard seeds (rai) and allow them to crackle. 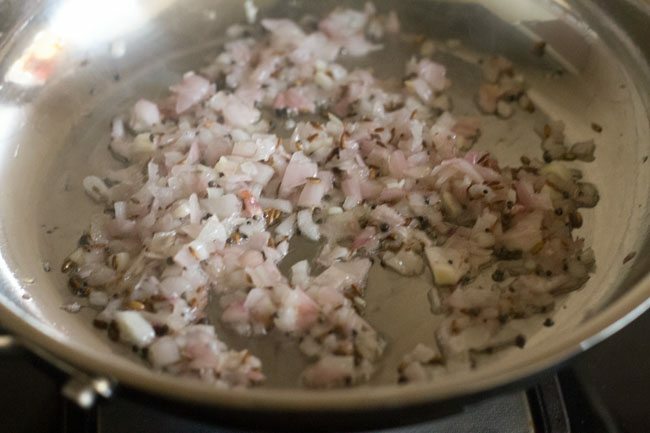 7. then add ½ teaspoon cumin seeds and let them splutter. 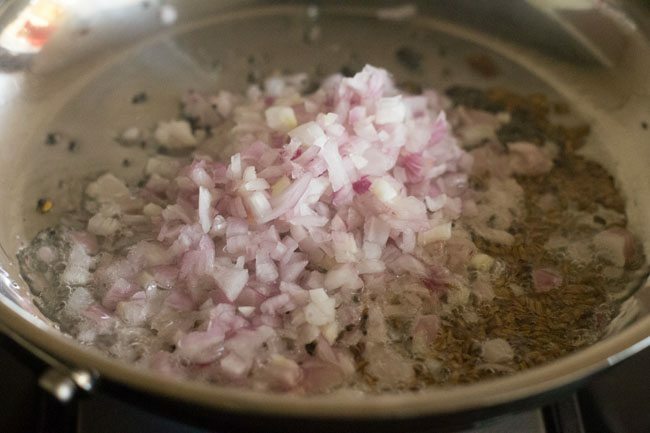 8. then add 1 medium sized finely chopped onion. 10. then add 1 chopped green chili and 10 to 12 curry leaves. 11. continue to saute for a minute on a low flame. 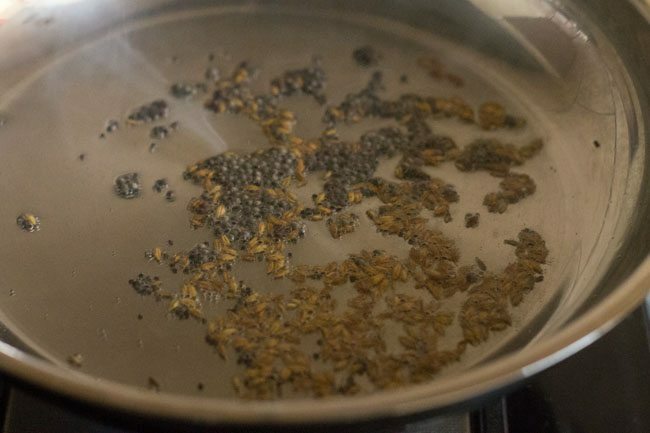 12. then add ½ teaspoon turmeric powder (haldi) and 1 pinch asafoetida (hing). 13. saute for 10 to 15 seconds on a low flame. 14. now add the chopped french beans, 1.5 to 2 tablespoon fresh grated coconut and salt as required. 16. cover the pan with a lid which has a rim. pour water over the lid. alternatively you can also cover the french beans sabzi with a lid. 17. on a low flame simmer the french beans for 15-20 minutes till they are cooked till tender. 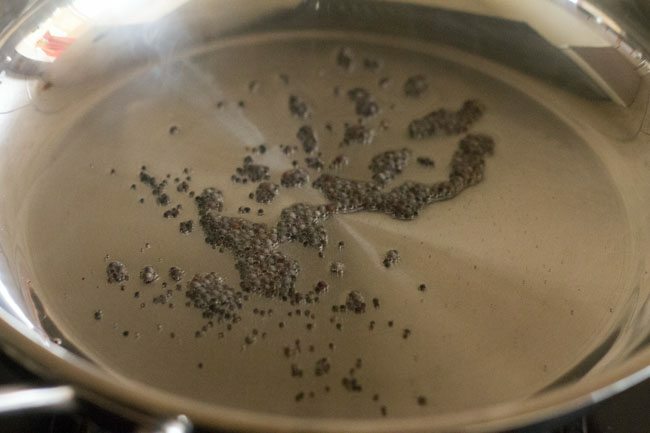 18. if the water dries in the pan, then sprinkle some water in the beans and continue to cook them. 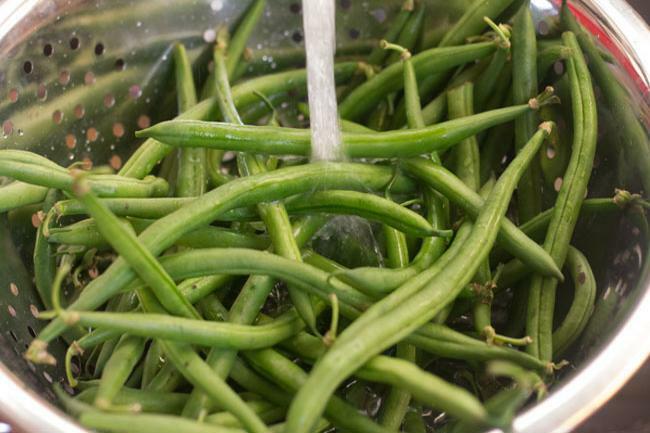 19. keep on stirring and checking the french beans after every 2-3 minutes and if the water dries on the lid, then add some more water. 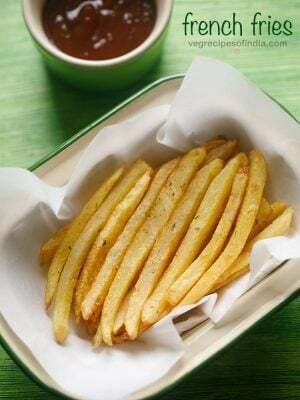 20. in this dish, the french beans should not get browned or crisp. so keep on checking and if the water dries up then sprinkle some more water and cover and cook the french beans. 21. when the french beans are cooked well, if there is any water in the pan, then just cook without the lid, so that the water evaporates. 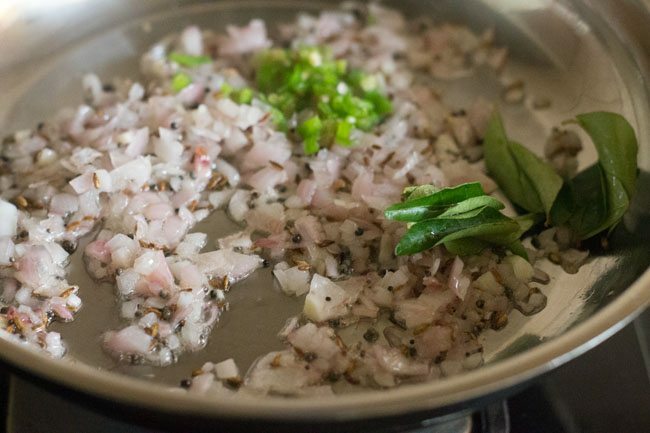 23. lastly garnish french beans foogath with 1 tablespoon coriander leaves or stir in the coriander leaves. 24. serve french beans foogath hot with chapatis or rice. 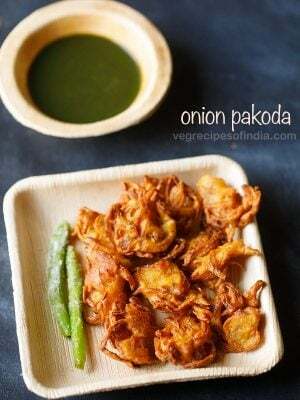 thanks 4 this wonderfuk receipe…I just love the taste of this….u r a wondeeful & kind chef always…. Welcome Kiran. Thanks for your kind words. Hi Dassana ,Had made this yesterday as I wanted to have some different veggie . The taste of coconut & mustard seeds was awesome! 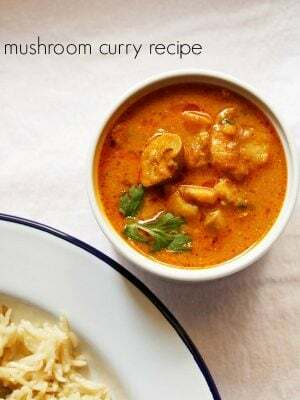 Totally different & very easy recipe to make .Thanks for posting such unique recipes . thanks neena for sharing positive feedback. I enjoy trying your recipes. Could you tll me what is cashew yogurt, please?